Skate Your Way into Great Shape! What has four wheels, burns hundreds of calories and is easier on your joints than running? That’s right, we’re talking about roller skating! A lot of you probably look at skating as a great way to have fun with the whole family. 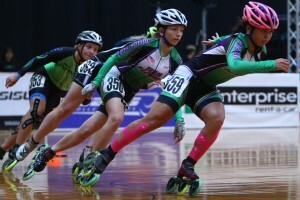 What you might not realize is that skating is one of the best ways to get a full aerobic workout. 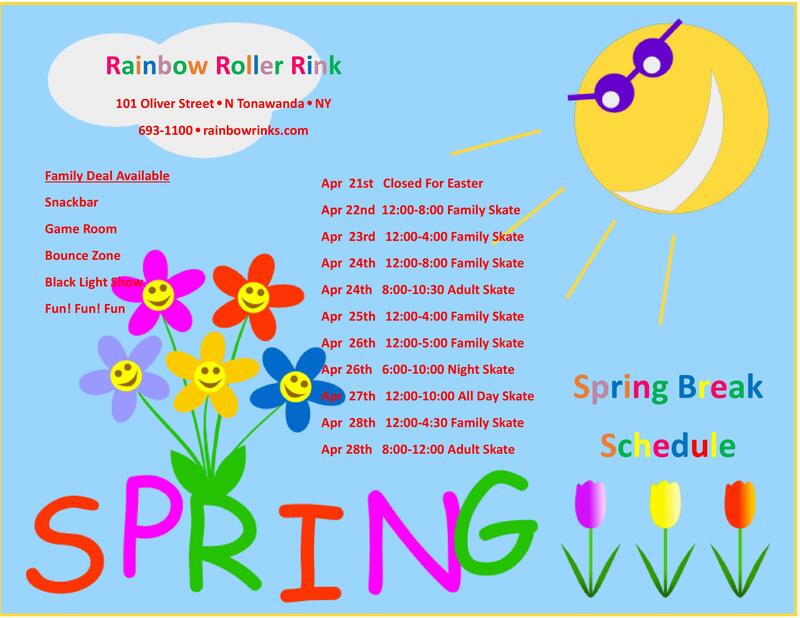 At Rainbow Roller Rink in North Tonawanda, NY, we’re all over keeping you and your kids healthy and fit. Check out a few of the body benefits you’ll see when you spend time with us on the hardwoods! Skating is such a great way to burn calories, get the heart pumping and build muscle because it’s easy on your body. You are four times more likely to get injured playing a game of pick-up basketball than you are at the roller rink. Plus, when you’re gliding on roller skates, you don’t have the same impact stress that you get when you go for a run. But you’ll definitely get your heart pumping! Whether you’re cruising through some easy laps or going for a new land speed record, you can expect your heart rate to bump up to at least 140 beats per minute. That puts you in the fat burning range too, so don’t be surprised when you have to tighten your belt. In fact, skating for one hour will burn up 600 calories on average! So maybe you love the idea of lacing up the skates on a weekly basis but you’re worried that you don’t have the skills, muscles or experience to do it… There’s really nothing to worry about. Start at your own pace, talk to our awesome staff in the pro shop for some pointers and remember that skating is all about fun. The health benefits are just an added bonus!